Cricket, the gentleman’s sport, has come a long way from when it was first created in England. 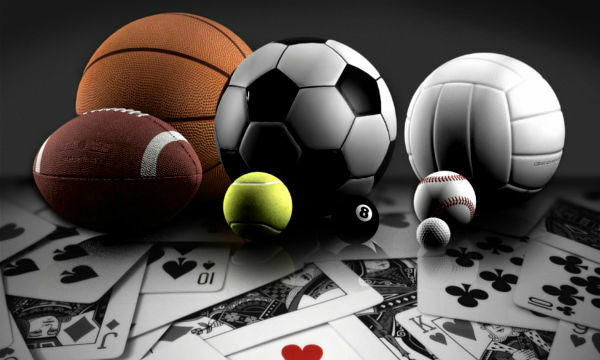 Now, it is played in 14 countries all over the world, and there are three formats of the sport: Test Cricket, One Day International and Twenty-20. These mainly vary in time, and number of overs and innings. However, there is also a vast difference in the style of gameplay in all three formats. It is quite natural that each player, with a separate style of playing, is suited for a different format of cricket. But, some great cricketers have proven that they are great at every format. Let us take a look at the Top 10 Cricketers with Most Combined runs in Test, ODI and T20I. 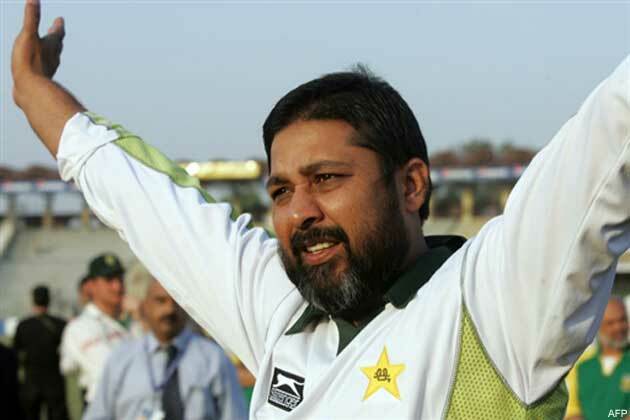 Inzamam-ul-Haq played a combined total of 551 innings out of 499 international Test, ODI and T20I matches that he ever participated as a member of the Pakistani national cricket team in his active cricketing career between 1991 and 2007. He scored a combined total of 20,580 international runs in his active career, and is inducted in the tenth place in our list of top 10 cricketers with most combined runs in TEST, ODI AND T20I. Inzamam-ul-Haq played 76 not-out innings for his team in international circuit and dismissed 35 times without scoring any runs in his career. He achieved his career’s best batting score of 329 runs while playing for the Pakistani cricket team, and also achieved his combined overall batting average of 43.32 in his career. Inzamam-ul-Haq scored a combined total of 35 centuries and 129 half-centuries in his career for his national team. 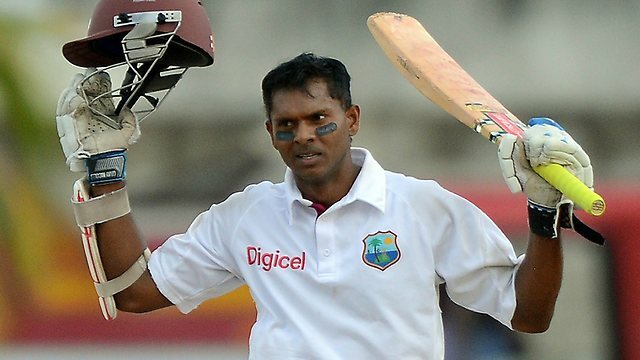 Shiv Chanderpaul played a combined total of 551 innings out of 453 international Test, ODI and T20I matches that he ever participated as a member of the West Indian national cricket team in his active cricketing career between 1994 and 2015. He scored a combined total of 20,963 international runs in his active career, and is inducted in the ninth place in our list of top 10 cricketers with most combined runs in TEST, ODI AND T20I. Shiv Chanderpaul played 94 not-out innings for his team in international circuit and dismissed 20 times without scoring any runs in his career. He achieved his career’s best batting score of 203* runs while playing for the West Indian cricket team, and also achieved his combined overall batting average of 45.87 in his career. Shiv Chanderpaul scored a combined total of 41 centuries and 125 half-centuries in his career for his national team. 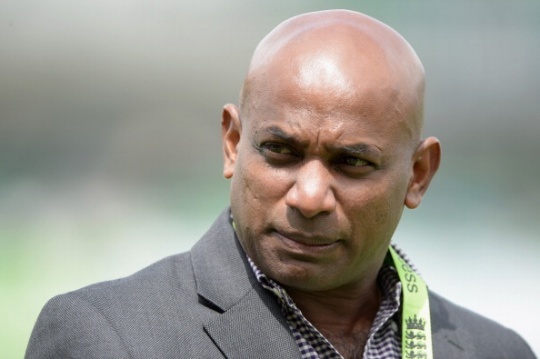 Sanath Jayasuriya played a combined total of 651 innings out of 586 international Test, ODI and T20I matches that he ever participated as a member of the Sri Lankan national cricket team in his active cricketing career between 1989 and 2011. He scored a combined total of 21,032 international runs in his active career, and is inducted in the eighth place in our list of top 10 cricketers with most combined runs in TEST, ODI AND T20I. Sanath Jayasuriya played 35 not-out innings for his team in international circuit and dismissed 53 times without scoring any runs in his career. He achieved his career’s best batting score of 340 runs while playing for the Sri Lankan cricket team, and also achieved his combined overall batting average of 34.14 in his career. Sanath Jayasuriya scored a combined total of 42 centuries and 103 half-centuries in his career for his national team. Brian Lara played a combined total of 521 innings out of 430 international Test, ODI and T20I matches that he ever participated as a member of the West Indian national cricket team in his active cricketing career between 1990 and 2007. He scored a combined total of 22,358 international runs in his active career, and is inducted in the seventh place in our list of top 10 cricketers with most combined runs in TEST, ODI AND T20I. Brian Lara played 38 not-out innings for his team in international circuit and dismissed 33 times without scoring any runs in his career. He achieved his career’s best batting score of 400* runs while playing for the West Indian cricket team, and also achieved his combined overall batting average of 46.28 in his career. Brian Lara scored a combined total of 53 centuries and 111 half-centuries in his career for his national team. 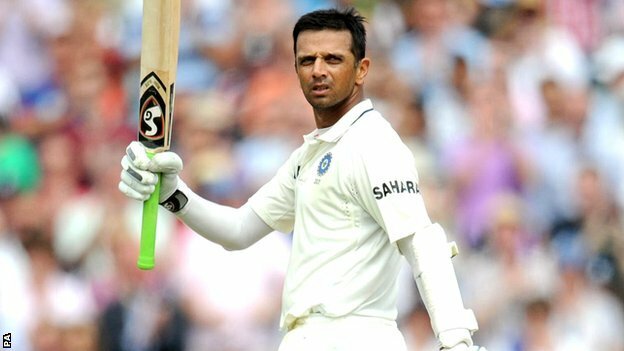 Rahul Dravid played a combined total of 605 innings out of 509 international Test, ODI and T20I matches that he ever participated as a member of the Indian national cricket team in his active cricketing career between 1996 and 2012. He scored a combined total of 24,208 international runs in his active career, and is inducted in the sixth place in our list of top 10 cricketers with most combined runs in TEST, ODI AND T20I. Rahul Dravid played 72 not-out innings for his team in international circuit and dismissed 21 times without scoring any runs in his career. He achieved his career’s best batting score of 270 runs while playing for the Indian cricket team, and also achieved his combined overall batting average of 45.41 in his career. Rahul Dravid scored a combined total of 48 centuries and 146 half-centuries in his career for his national team. 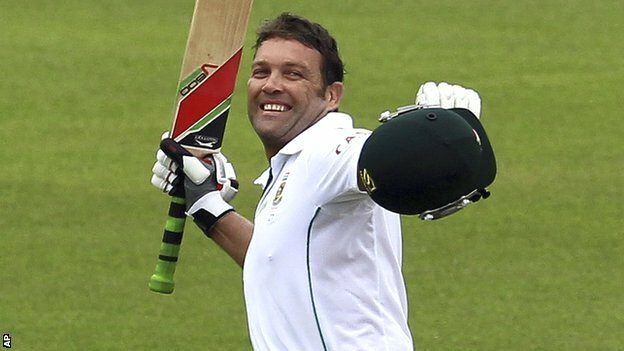 Jacques Kallis played a combined total of 617 innings out of 519 international Test, ODI and T20I matches that he ever participated as a member of the South African national cricket team in his active cricketing career between 1995 and 2014. He scored a combined total of 25,534 international runs in his active career, and is inducted in the fifth place in our list of top 10 cricketers with most combined runs in TEST, ODI AND T20I. Jacques Kallis played 97 not-out innings for his team in international circuit and dismissed 33 times without scoring any runs in his career. He achieved his career’s best batting score of 224 runs while playing for the South African cricket team, and also achieved his combined overall batting average of 49.10 in his career. Jacques Kallis scored a combined total of 62 centuries and 149 half-centuries in his career for his national team. 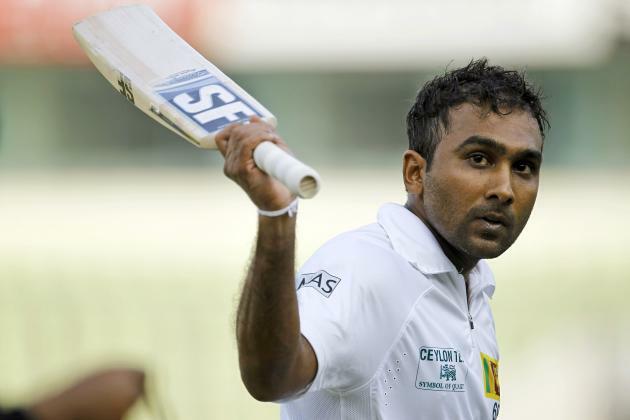 Mahela Jayawardene played a combined total of 725 innings out of 652 international Test, ODI and T20I matches that he ever participated as a member of the Sri Lankan national cricket team in his active cricketing career between 1997 and 2015. He scored a combined total of 25,957 international runs in his active career, and is inducted in the fourth place in our list of top 10 cricketers with most combined runs in TEST, ODI AND T20I. Mahela Jayawardene played 62 not-out innings for his team in international circuit and dismissed 47 times without scoring any runs in his career. He achieved his career’s best batting score of 374 runs while playing for the Sri Lankan cricket team, and also achieved his combined overall batting average of 39.15 in his career. Mahela Jayawardene scored a combined total of 54 centuries and 136 half-centuries in his career for his national team. 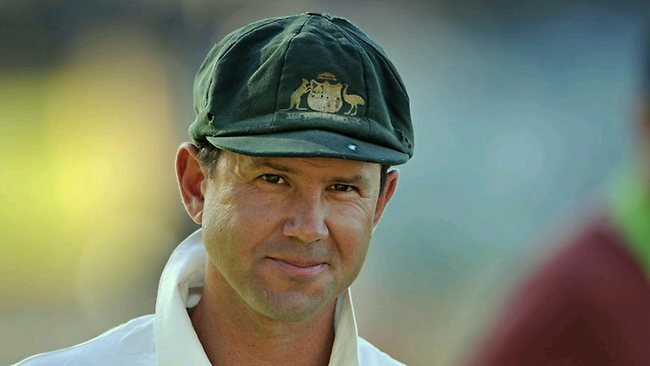 Ricky Ponting played a combined total of 668 innings out of 560 international Test, ODI and T20I matches that he ever participated as a member of the Australian national cricket team in his active cricketing career between 1995 and 2012. He scored a combined total of 27,483 international runs in his active career, and is inducted in the third place in our list of top 10 cricketers with most combined runs in TEST, ODI AND T20I. Ricky Ponting played 70 not-out innings for his team in international circuit and dismissed 39 times without scoring any runs in his career. He achieved his career’s best batting score of 257 runs while playing for the Australian cricket team, and also achieved his combined overall batting average of 45.95 in his career. Ricky Ponting scored a combined total of 71 centuries and 146 half-centuries in his career for his national team. Kumar Sangakkara played a combined total of 658 innings out of 590 international Test, ODI and T20I matches that he ever participated as a member of the Sri Lankan national cricket team in his active cricketing career between 2000 and 2015. He scored a combined total of 27,819 international runs in his active career, and is inducted in the second place in our list of top 10 cricketers with most combined runs in TEST, ODI AND T20I. Kumar Sangakkara played 67 not-out innings for his team in international circuit and dismissed 27 times without scoring any runs in his career. He achieved his career’s best batting score of 319 runs while playing for the Sri Lankan cricket team, and also achieved his combined overall batting average of 47.07 in his career. 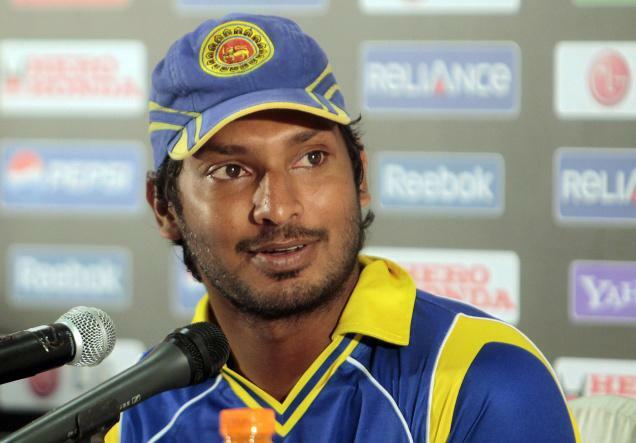 Kumar Sangakkara scored a combined total of 63 centuries and 152 half-centuries in his career for his national team. Sachin Tendulkar played a combined total of 782 innings out of 664 international Test, ODI and T20I matches that he ever participated as a member of the Indian national cricket team in his active cricketing career between 1989 and 2013. He scored a combined total of 34,357 international runs in his active career, and is inducted in the top place in our list of top 10 cricketers with most combined runs in TEST, ODI AND T20I. Sachin Tendulkar played 74 not-out innings for his team in international circuit and dismissed 34 times without scoring any runs in his career. He achieved his career’s best batting score of 248* runs while playing for the Indian cricket team, and also achieved his combined overall batting average of 48.52 in his career. Sachin Tendulkar scored a combined total of 100 centuries and 164 half-centuries in his career for his national team. Many other players have also given remarkable performances in all three formats of cricket. Some players have also proven themselves to be great cricketers with their performances in each format, and they are no less as cricketers. However, the Top 10 Cricketers with Most Combined runs in Test, ODI and T20I have set records that speak volumes about their prowess. They are not only suited for the slow but true to technicality format of Test cricket, as well as the fast and exciting T20 format. Cricket, the gentleman’s sport, was created by the English. 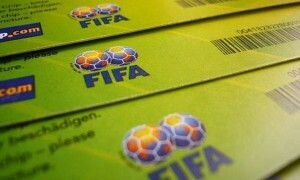 But over the years, the one country that has come to be the face of the sport is Australia. Every four years, the two countries lock horns in a Test tournament to regain the mythical ashes, which were the result of a satirical obituary by a British newspaper, after England was defeated by Australia in their first tour in England. The winning country is going to keep the urn, filled with the ashes, until the next tournament. The national cricket teams of the two countries thus give the best performances to defend their honor. 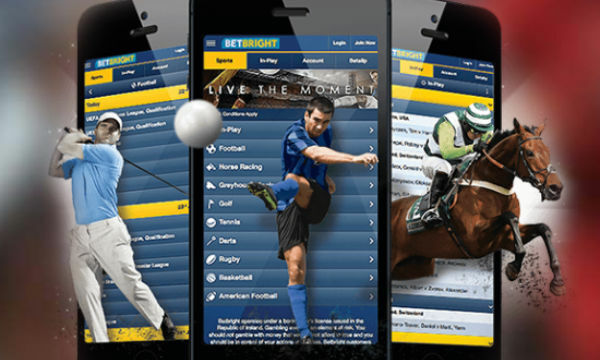 Test matches give the opportunity to score big. Let us have a look at the Top 10 Batsmen with Most Runs in the Ashes Series. Former English cricketer Geoffrey Boycott established himself as one of England’s most successful opening batsmen. 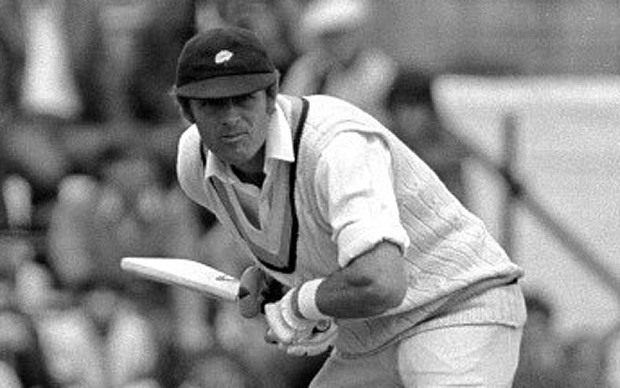 Geoff Boycott scored a total of 2579 runs in 63 innings out of 34 matches of the Ashes Series that he ever played in his cricketing career between 1964 and 1981 as a squad member of the English national cricket team. He played 7 not-out innings for his team and was dismissed just 2 times in the Ashes without scoring any runs. Boycott scored his tournament’s best score of 191 and has also achieved a batting average of 46.05 in the Ashes while playing for the English team, and is inducted in the tenth place in our list of top 10 batsmen with most runs in the Ashes Series. The Ashes series-career of Geoff Boycott is decorated with 6 centuries and 12 half centuries. Former English cricketer John Hugh Edrich is widely considered as one of the best batsmen of his generation. 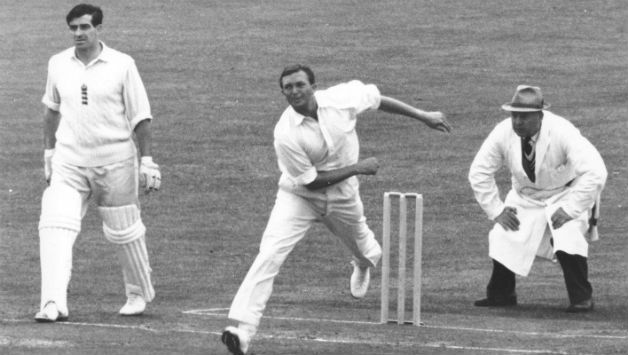 John Edrich scored a total of 2644 runs in 57 innings out of 32 matches of the Ashes Series that he ever played in his cricketing career between 1964 and 1975 as a squad member of the English national cricket team. He played 3 not-out innings for his team and was never dismissed in the Ashes without scoring any runs. John Edrich scored his tournament’s best score of 175 and has also achieved a batting average of 48.96 in the Ashes while playing for the English team, and is inducted in the ninth place in our list of top 10 batsmen with most runs in the Ashes Series. The Ashes series-career of John Edrich is decorated with 7 centuries and 13 half centuries. Former Australian cricketer Clement “Clem” Hill captained the Australian team in ten Tests during his active cricketing career. Clem Hill scored a total of 2660 runs in 76 innings out of 41 matches of the Ashes Series that he ever played in his cricketing career between 1896 and 1912 as a squad member of the Australian national cricket team. He played a not-out innings for his team and was dismissed 8 times in the Ashes without scoring any runs. 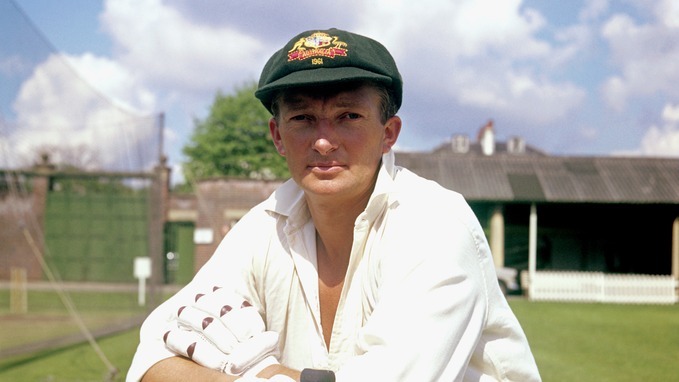 Clem Hill scored his tournament’s best score of 188 and has also achieved a batting average of 35.46 in the Ashes while playing for the Australian team, and is inducted in the eighth place in our list of top 10 batsmen with most runs in the Ashes Series. The Ashes series-career of Clem Hill is decorated with 4 centuries and 16 half centuries. 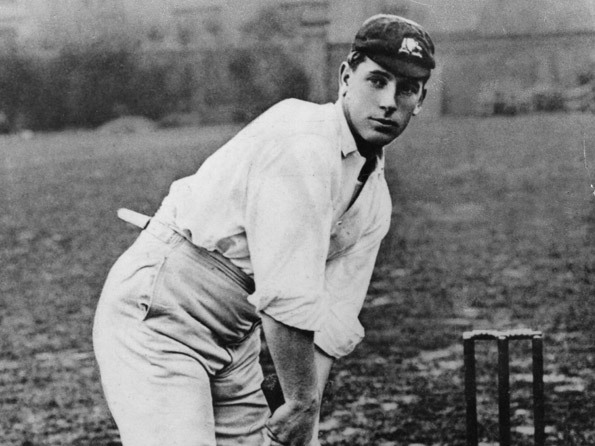 English professional cricketer Herbert Sutcliffe achieved his career batting average of 60.73 which is the highest by any English batsman. 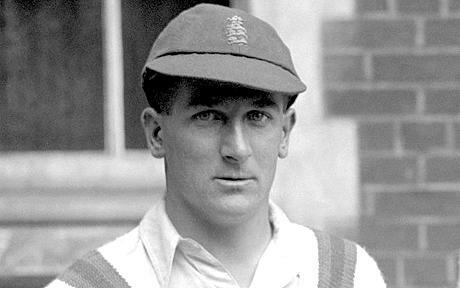 Herbert Sutcliffe scored a total of 2741 runs in 46 innings out of 27 matches of the Ashes Series that he ever played in his cricketing career between 1924 and 1934 as a squad member of the English national cricket team. He played 5 not-out innings for his team and was dismissed just once in the Ashes without scoring any runs. Sutcliffe scored his tournament’s best score of 194 and has also achieved a batting average of 66.85 in the Ashes while playing for the English team, and is inducted in the seventh place in our list of top 10 batsmen with most runs in the Ashes Series. The Ashes series-career of Herbert Sutcliffe is decorated with 8 centuries and 16 half centuries. Former English Test cricketer Walter Reginald “Wally” Hammond was considered to be the best English batsman of the 1930s by several commentators. 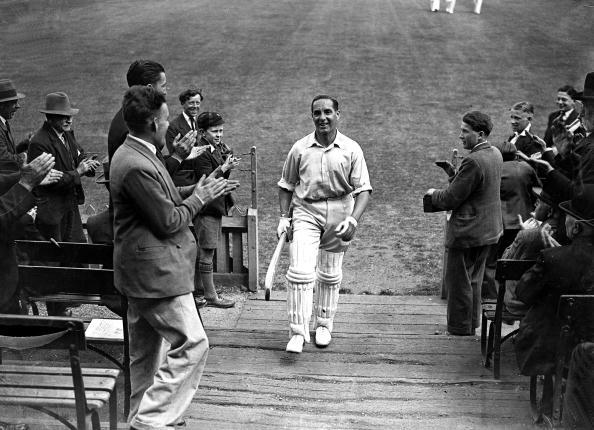 Wally Hammond scored a total of 2852 runs in 58 innings out of 33 matches of the Ashes Series that he ever played in his cricketing career between 1928 and 1947 as a squad member of the English national cricket team. He played 3 not-out innings for his team and was dismissed just 2 times in the Ashes without scoring any runs. Hammond scored his tournament’s best score of 251 and has also achieved a batting average of 51.85 in the Ashes while playing for the English team, and is inducted in the sixth place in our list of top 10 batsmen with most runs in the Ashes Series. The Ashes series-career of Wally Hammond is decorated with 9 centuries and 7 half centuries. Former English cricketer David Ivon Gower became the captain of the England cricket team during the 1980s, and is widely regarded as one of the most stylish left-handed batsmen of the his era. 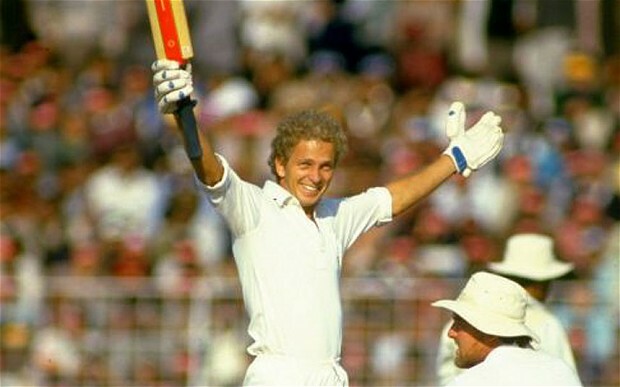 David Gower scored a total of 3037 runs in 69 innings out of 38 matches of the Ashes Series that he ever played in his cricketing career between 1978 and 1991 as a squad member of the English national cricket team. He played 3 not-out innings for his team and was dismissed just 2 times in the Ashes without scoring any runs. Gower scored his tournament’s best score of 215 and has also achieved a batting average of 46.01 in the Ashes while playing for the English team, and is inducted in the fifth place in our list of top 10 batsmen with most runs in the Ashes Series. The Ashes series-career of David Gower is decorated with 9 centuries and 11 half centuries. Retired Australian cricketer and twin brother of cricketer Mark Waugh, Stephen Rodger Waugh, captained the Australian Test cricket team from 1999 to 2004. Steve Waugh scored a total of 3173 runs in 72 innings out of 45 matches of the Ashes Series that he ever played in his cricketing career between 1986 and 2003 as a squad member of the Australian national cricket team. He played 18 not-out innings for his team and was dismissed just 6 times in the Ashes without scoring any runs. Steve Waugh scored his tournament’s best score of 177* and has also achieved a batting average of 58.75 in the Ashes while playing for the Australian team, and is inducted in the fifth place in our list of top 10 batsmen with most runs in the Ashes Series. 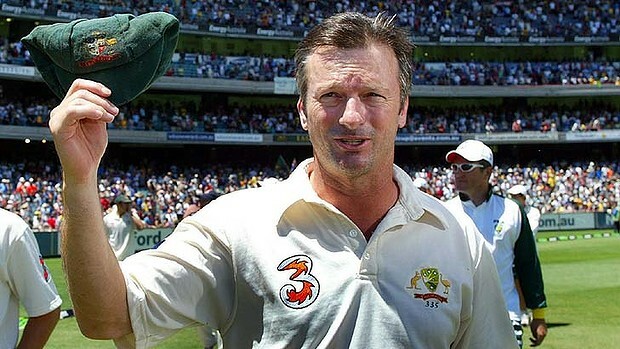 The Ashes series-career of Steve Waugh is decorated with 10 centuries and 14 half centuries. Australian former cricketer Allan Robert Border was the captain of the Australian team for many years and is widely regarded as one of the most prolific run-maker of the Australian cricket history. Allan Border scored a total of 3222 runs in 73 innings out of 42 matches of the Ashes Series that he ever played in his cricketing career between 1978 and 1993 as a squad member of the Australian national cricket team. He played 15 not-out innings for his team and was dismissed just 3 times in the Ashes without scoring any runs. Border scored his tournament’s best score of 200* and has also achieved a batting average of 55.55 in the Ashes while playing for the Australian team, and is inducted in the third place in our list of top 10 batsmen with most runs in the Ashes Series. 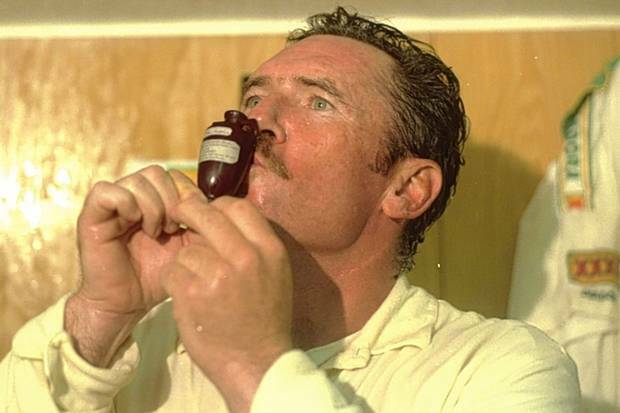 The Ashes series-career of Allan Border is decorated with 7 centuries and 19 half centuries. Former English legendary cricketer Sir John Berry “Jack” Hobbs is the leading run-scorer and century-maker in first-class cricket. Sir Jack Hobbs scored a total of 3636 runs in 71 innings out of 41 matches of the Ashes Series that he ever played in his cricketing career between 1908 and 1930 as a squad member of the English national cricket team. He played 4 not-out innings for his team and was dismissed just 3 times in the Ashes without scoring any runs. Hobbs struck his tournament’s best score of 187 and has also achieved a batting average of 54.26 in the Ashes while playing for the English team, and is inducted in the second place in our list of top 10 batsmen with most runs in the Ashes Series. 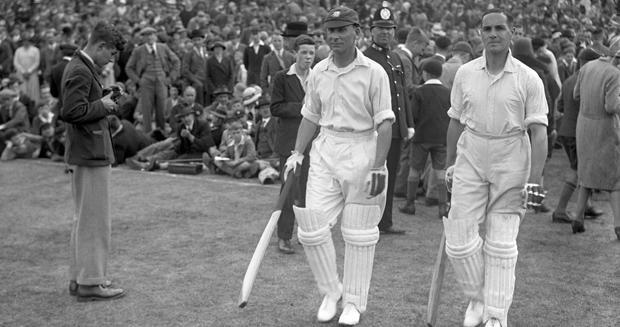 The Ashes series-career of Sir Jack Hobbs is decorated with 12 centuries and 15 half centuries. Legendary former Australian cricketer Sir Donald George Bradman, often referred to as “The Don”, is still widely acknowledged as the greatest Test batsman of all time. Sir Don Bradman scored a total of 5028 runs in 63 innings out of 37 matches of the Ashes Series which he ever played in his cricketing career between 1928 and 1948 as a squad member of the Australian national cricket team. He played 7 not-out innings for his team and was dismissed just 6 times in the Ashes without scoring any runs. Bradman scored his tournament’s best score of 334 and has also achieved a batting average of 89.78 in the Ashes while playing for the Australian team, and is inducted in the first place in our list of top 10 batsmen with most runs in the Ashes Series. 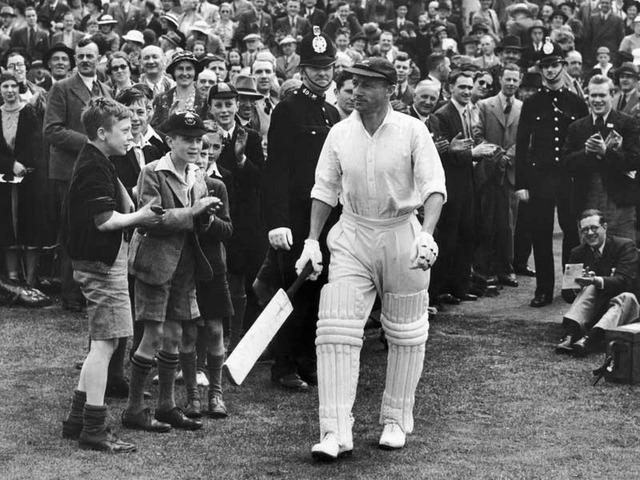 The Ashes series-career of Sir Don Bradman is decorated with 19 centuries and 12 half centuries. The Australian and English batsmen try to give their best performances, and the ones holding the bat among them make all efforts to turn the scoreboards, so that the runs are difficult for the opponent teams to reach. The Ashes Series has been witness to some of the best batting performances in cricket. 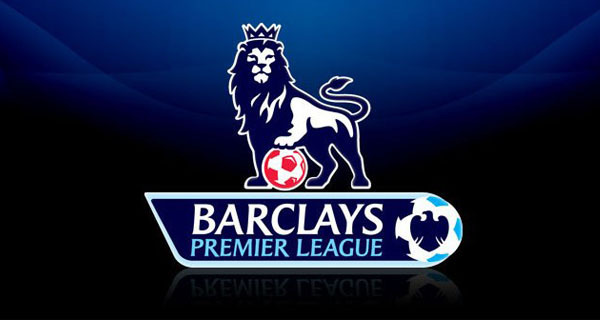 The Indian Premier League, or IPL, is one of the most popular cricket tournaments of recent times. 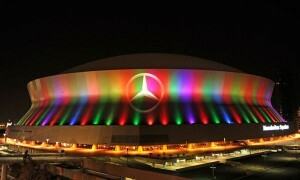 It is an annual tournament featuring Twenty20 format of cricket, and was founded in the year 2008 by the BCCI. 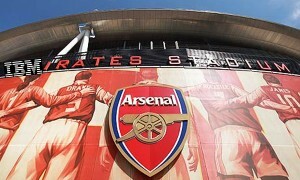 It currently has 8 clubs participating in it, each named after Indian cities. Held between April and June, the IPL has players from India and all over the world participating in it, and showing great cricket, with people flocking to see the fast pace of this style of cricket, as players hit boundaries and sixers right into the galleries, while the bowlers try their best to send them back to the pavilion fast. Every drop of wicket receives as much cheer as a good hit. Let’s take a look at 10 Bowlers with Most wickets in a Single IPL Season. Indian cricket player Ranganath Vinay Kumar plays domestic cricket for Karnataka and also for the Mumbai Indians in the Indian Premier League, and captained Karnataka to win two consecutive Ranji Trophy titles. 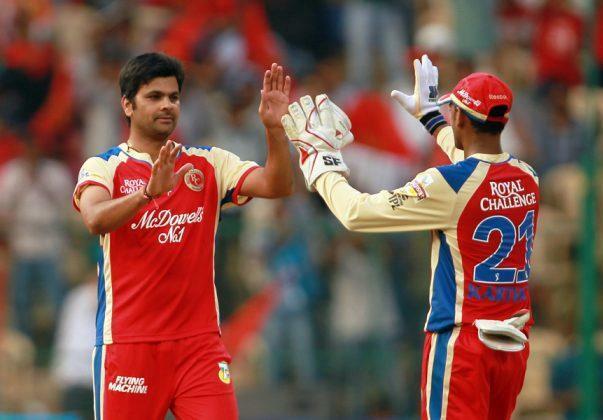 Vinay Kumar delivered a total of 60.1 overs while giving just 493 runs in 2013 and achieved his best bowling performance of 3/18 while playing for the Royal Challengers Bangalore in 2013 season of Indian Premier League. He took a total of 23 wickets in 16 T20 matches of 2013 IPL season and is inducted in the tenth place in our list of 10 bowlers with most wickets in a single IPL season. 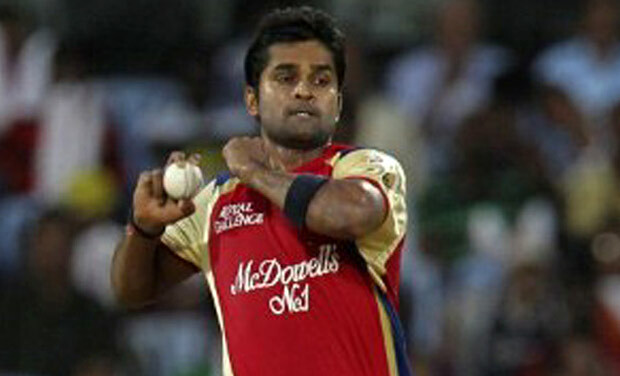 Vinay Kumar achieved 21.43 bowling average and 8.19 bowling economy rate in 2013 season of Indian Premier League. He had a bowling strike rate of 15.6 in 2013 season of Indian Premier League. Indian right-arm medium-fast bowler Mohit Mahipal Sharma took 37 wickets from 7 matches at an average of 23 in the 2012-13 Ranji Trophy. Mohit Sharma delivered a total of 53.5 overs while giving just 452 runs in 2014 and achieved his best bowling performance of 4/14 while playing for the Chennai Super Kings in 2014 season of Indian Premier League. He took a total of 23 wickets in 16 T20 matches of 2014 IPL season and is inducted in the ninth place in our list of 10 bowlers with most wickets in a single IPL season. Mohit Sharma achieved 19.65 bowling average and 8.39 bowling economy rate in 2014 season of Indian Premier League. He had a bowling strike rate of 14.0 in 2014 season and has also achieved four wicket haul once on that same season. Indian left arm fast-medium bowler Rudra Pratap Singh was bought for $400,000 in the players’ auction 2013 by Royal Challengers Bangalore. Rudra Pratap Singh delivered a total of 59.4 overs, out of which 1 over was maiden, while giving just 417 runs in 2009 and achieved his best bowling performance of 4/22 while playing for the Deccan Chargers in 2009 season of Indian Premier League. He took a total of 23 wickets in 16 T20 matches of 2009 IPL season and is inducted in the eighth place in our list of 10 bowlers with most wickets in a single IPL season. Rudra Pratap Singh achieved 18.13 bowling average and 6.98 bowling economy rate in 2009 season of Indian Premier League. He had a bowling strike rate of 15.5 in 2009 season and has also achieved four wicket haul once on that same season. Australian cricketer Mitchell Guy Johnson was named “Cricketer of the Year” and awarded the Sir Garfield Sobers Trophy by the International Cricket Council in 2009. Mitchell Johnson delivered a total of 64.0 overs while giving just 459 runs in 2013 and achieved his best bowling performance of 3/27 while playing for the Mumbai Indians in 2013 season of Indian Premier League. He took a total of 24 wickets in 17 T20 matches of 2013 IPL season and is inducted in the seventh place in our list of 10 bowlers with most wickets in a single IPL season. 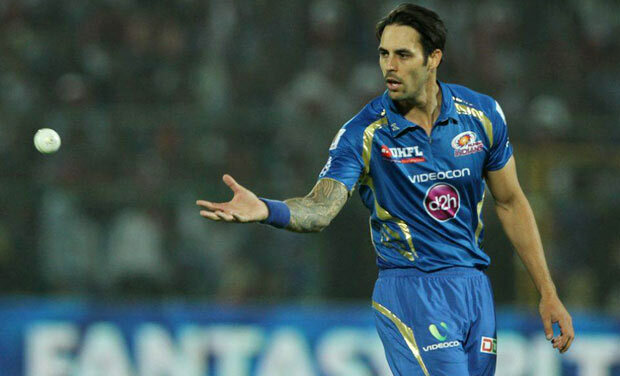 Mitchell Johnson achieved 19.12 bowling average and 7.17 bowling economy rate in 2013 season of Indian Premier League. He had a bowling strike rate of 16.0 in 2013 season of Indian Premier League. Indian right arm off-break bowler Harbhajan Singh Plaha has the second most Test wickets by an off spinner, only behind Sri Lanka’s Muttiah Muralitharan. Harbhajan Singh delivered a total of 70.0 overs while giving just 456 runs in 2013 and achieved his best bowling performance of 3/14 while playing for the Mumbai Indians in 2013 season of Indian Premier League. He took a total of 24 wickets in 19 T20 matches of 2013 IPL season and is inducted in the sixth place in our list of 10 bowlers with most wickets in a single IPL season. Harbhajan Singh achieved 19.00 bowling average and 6.51 bowling economy rate in 2013 season of Indian Premier League. He had a bowling strike rate of 17.5 in 2013 season of Indian Premier League. West Indian cricketer Sunil Philip Narine became the first bowler in IPL to take a hat-trick against Kings XI Punjab on 16 April 2013, playing for Kolkata Knight Riders. Sunil Narine delivered a total of 59.1 overs, out of which 1 over was maiden, while giving just 324 runs in 2012 and achieved his best bowling performance of 5/19 while playing for the Kolkata Knight Riders in 2012 season of Indian Premier League. He took a total of 24 wickets in 15 T20 matches of 2012 IPL season and is inducted in the fifth place in our list of 10 bowlers with most wickets in a single IPL season. Sunil Narine achieved 13.50 bowling average and 5.47 bowling economy rate in 2012 season of Indian Premier League. He had a bowling strike rate of 14.7 in 2012 season, and has also achieved four wicket haul once and five wicket haul once on that same season. South African cricketer Morne Morkel is a right-arm fast bowler with “genuine pace” according to the legendary former South African fast bowler Allan Donald. Morne Morkel delivered a total of 63.0 overs, out of which 1 over was maiden, while giving just 453 runs in 2012 and achieved his best bowling performance of 4/20 while playing for the Delhi Daredevils in 2012 season of Indian Premier League. He took a total of 25 wickets in 16 T20 matches of 2012 IPL season and is inducted in the fourth place in our list of 10 bowlers with most wickets in a single IPL season. 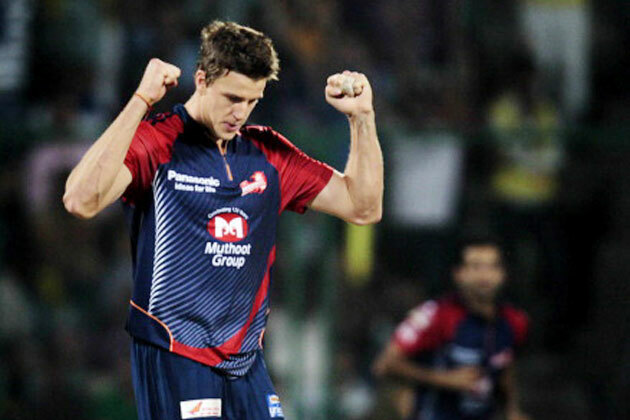 Morne Morkel achieved 18.12 bowling average and 7.19 bowling economy rate in 2012 season of Indian Premier League. He had a bowling strike rate of 15.1 in 2012 season and has also achieved four wicket haul once on that same season. Australian all-rounder James Peter Faulkner earned the nickname “The Finisher” for his ability to shut out the innings to set a big total or to achieve victories as a batsman. James Faulkner delivered a total of 63.1 overs, out of which 2 overs were maidens, while giving just 427 runs in 2013 and achieved his best bowling performance of 5/16 while playing for the Rajasthan Royals in 2013 season of Indian Premier League. He took a total of 28 wickets in 16 T20 matches of 2013 IPL season and is inducted in the third place in our list of 10 bowlers with most wickets in a single IPL season. 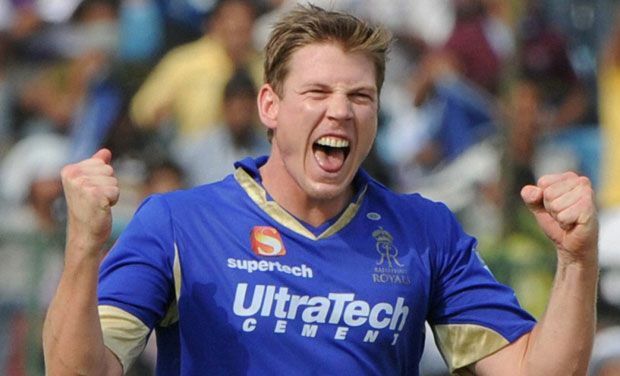 James Faulkner achieved 15.25 bowling average and 6.75 bowling economy rate in 2013 season of Indian Premier League. He had a bowling strike rate of 13.5 in 2013 season and has also achieved five wicket haul twice on that same season. Sri Lankan cricketer Separamadu Lasith Malinga is widely regarded as one of the best fast bowlers of modern times with a unique round-arm action. Lasith Malinga delivered a total of 63.0 overs, out of which 2 overs were maidens, while giving just 375 runs in 2011 and achieved his best bowling performance of 5/13 while playing for the Mumbai Indians in 2011 season of Indian Premier League. He took a total of 28 wickets in 16 T20 matches of 2011 IPL season and is inducted in the second place in our list of 10 bowlers with most wickets in a single IPL season. 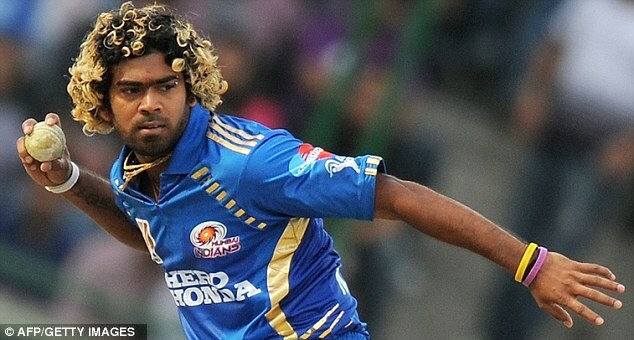 Lasith Malinga achieved 13.39 bowling average and 5.95 bowling economy rate in 2011 season of Indian Premier League. He had a bowling strike rate of 13.5 in 2011 season and has also achieved five wicket haul once on that same season. 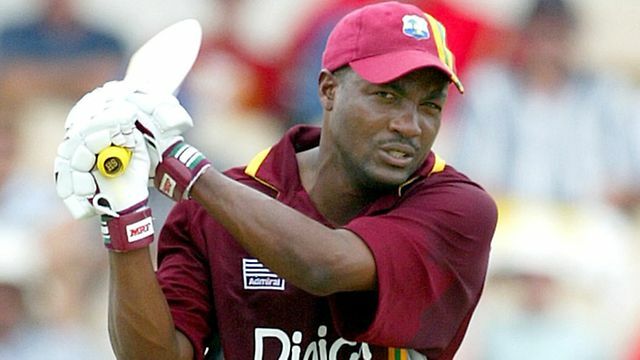 West Indian all-rounder Dwayne James John Bravo is known for his aggressive middle order batting besides his death bowling skills. He started his IPL career with Mumbai Indians and later signed by the Chennai Super Kings. Dwayne Bravo delivered a total of 62.3 overs while giving just 497 runs in 2013 and achieved his best bowling performance of 4/42 while playing for the Chennai Super Kings in 2013 season of Indian Premier League. He took a total of 32 wickets in 18 T20 matches of 2013 IPL season and is inducted in the top place in our list of 10 bowlers with most wickets in a single IPL season. 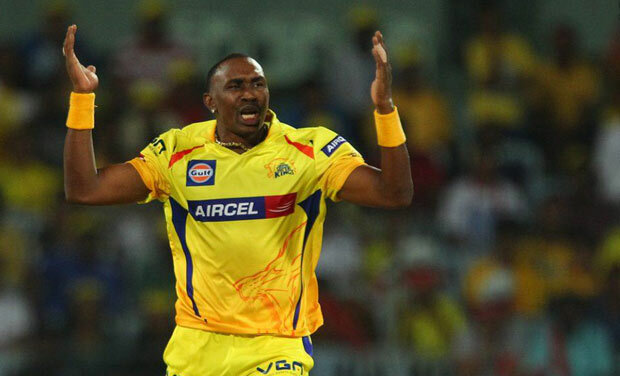 Dwayne Bravo achieved 15.53 bowling average and 7.95 bowling economy rate in 2013 season of Indian Premier League. He had a bowling strike rate of 11.7 in 2013 season and has also achieved four wicket haul once on that same season. The tournament of Indian Premier League might be rather new, but it has already caught the fancy of people who did not care much for cricket before. The players take the league very seriously, too, as the young players often get selected for the national team based on their performance, while the senior players get to prove that they are good enough to keep up with the new ones. The national cricket team of Australia has earned huge respect in the field of cricket. It has won the ICC World Cup a record five times, the latest one being in the 2015 tournament. Some of the top cricket players in the world are from Australia. 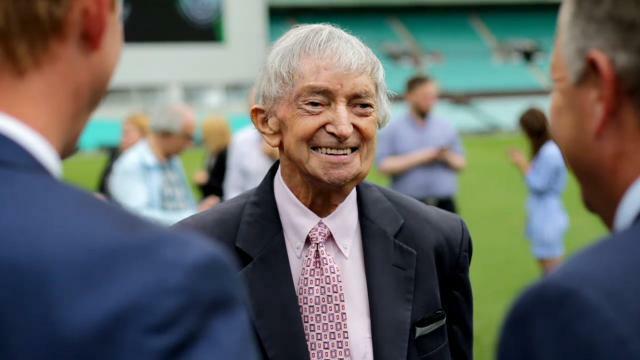 Among the most noted cricket personalities in the world from Australia, a name that is written in gold is that of Richie Benaud, a stunning cricketer and a highly regarded commentator. 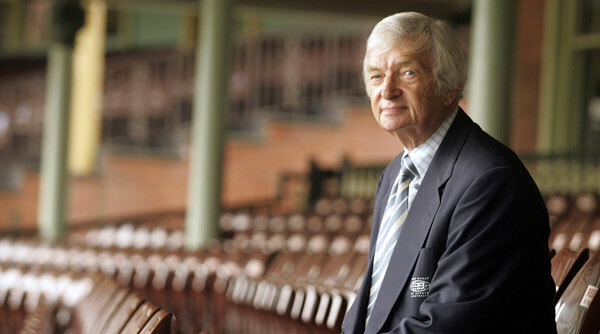 Here is a list of 10 Unknown Facts about Richie Benaud. Take a look, and see how many of these facts you didn’t know about him. Richard was born on 6 October, 1930 in Penrith, New South Wales in Australia. 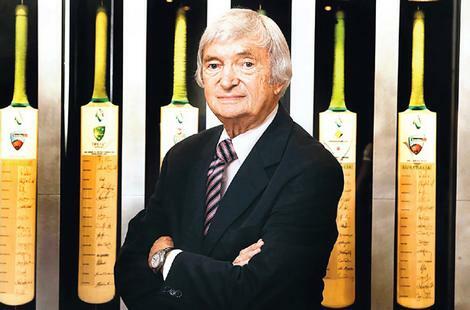 His father, Louis Benaud, was a third generation Australian with a French Huguenot Descent. He was born into a cricket family, with his father being a leg spinner playing in Sydney Grade Cricket for Penrith, and gaining attention for acquiring 20 wickets for just 65 runs in a match against St. Marys. Later, Lou also moved to the region of Parramatta in the western part of Sydney, and played for Cumberland. With his father moving to Parramatta and representing Cumberland, Richie grew up in this locality, and learned how to bowl leg breaks, googlies and topspinners under the watch of his father. He studied in Parramatta High School, and at the age of 16, he made his first grade debut for Cumberland, mainly as a batsman. At 18, he was chosen for the state youth team of New South Wales Colts. He was a batting all-rounder in his early years, and was noted for his looping backlift. Richie was a right-handed batsman and a right-arm leg spinner, and had his domestic cricket career extending from 1948-64 and his international test career extended from 1952 to 1964. During his career, he played 63 test matches and 259 first-class cricket matches. He scored 2201 test runs and 11719 runs in first class cricket, with an average of 24.45 and 36.50 respectively, and the top scores of 122 and 187 respectively. He also delivered 19108 balls in test and 60481 balls in first class cricket. 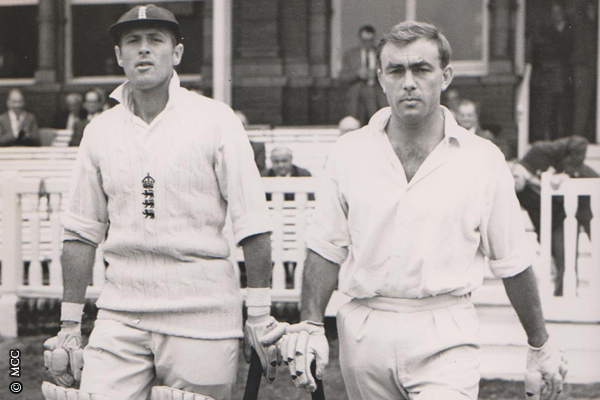 Richie’s contribution to Australian cricket during the late 1950s and early 60s is remarkable. He helped restore the country to its position at the top of international cricket, after Australia’s slump in the early 1950s. He led the country’s test team as a captain from 1958 till his retirement in 1964. He was the first player to have reached 200 wickets and 2000 runs in test cricket. He reached this remarkable milestone in the year 1963, just a year before his retirement from professional cricket. He never lost a single test series as the captain of the national cricket team of Australia. In 1956, when he was in India, he contracted dengue fever. Two months later, he was in New Zealand, where his team was to play three friendly tests. Benaud had not earned his fame yet, went to a local chemist and asked a gentleman named Ivan James for sulphanilamide to prevent passing out. James, noticing some bloody lacerations on fingers, came to know from the then young Benaud that the cuts were about to ruin his career as a spin bowler, and prescribed him Oily Calamine lotion. Benaud used this diligently, and healed and protected his fingers. 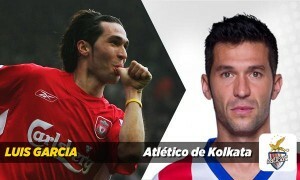 If he hadn’t, the world would perhaps have been deprived of this great talent. 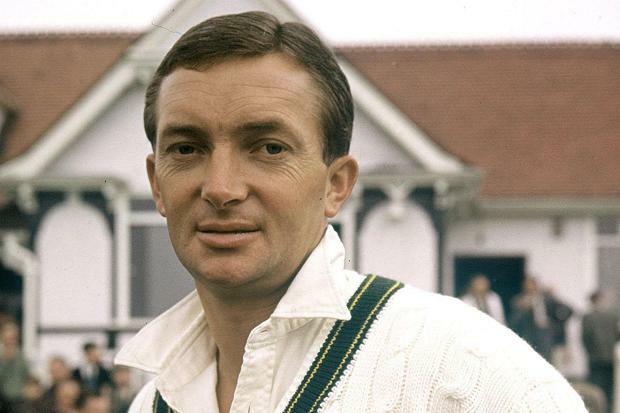 Richie Benaud was on an England tour in the year 1956. Once the tour came to an end, Benaud took the decision to stay back in London, England, so that he could take up a training course as a presenter for British Broadcast Radio. He then kick-started his career in the media, assuming the position of a journalist with the News of the World, as he began as a police roundsman, before he finally became a sports columnist. In the year 1960, he did his first radio commentary gig in the UK at BBC. He then moved to television. 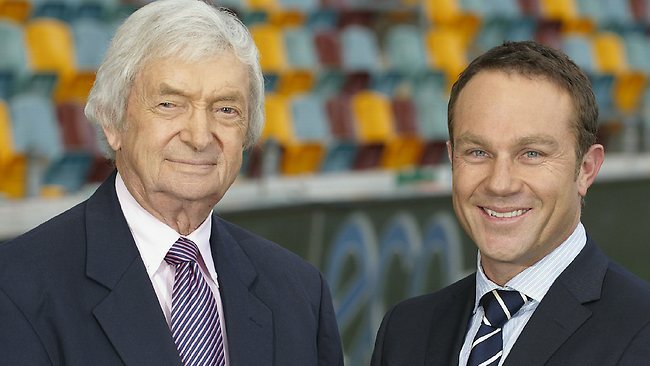 Though his career in the media had begun while he was still a player, it was after his retirement from playing in 1964 that Benaud took up cricket journalism and commentary as a full-time career. He divided his time between Britain, working for the BBC before joining Channel 4, and Australia where he worked for Nine Network. He made it his trademark to weak a cream jacket during live commentary. This style, suggested by Channel 9 owner Kerry Packer, made his stand out among other commentators. 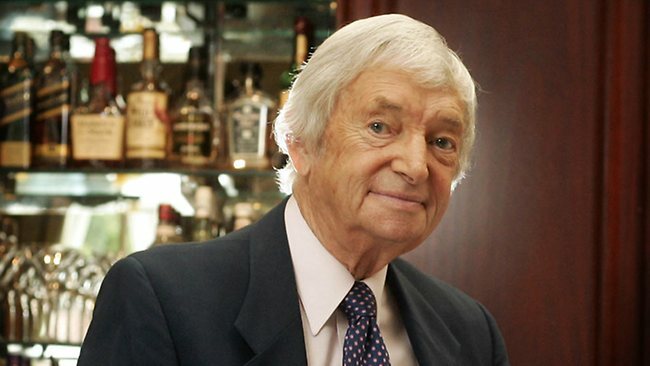 Richie Benaud helped design a computer-based parody of himself, called Desktop Richie, which could give commentary and weather report in Benaud’s real voice samples like “Got ‘im!” and “That’s stumps… and time for a glass of something chilled.” It was developed by the software company Turtlez Ltd. and was available for download off the website of Channel 4. 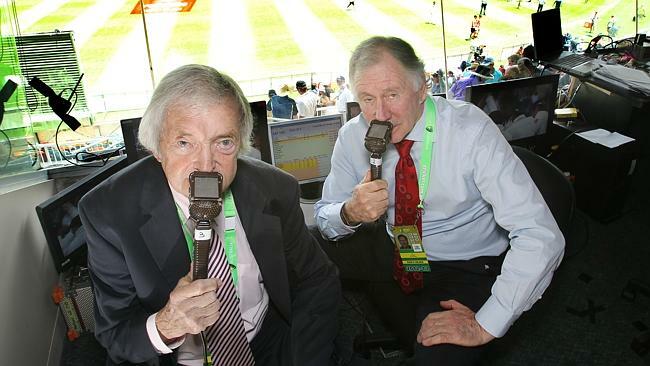 Benaud often made sarcastic comments about the advertisement of Desktop Richie, during his live commentary. Richie Benaud was also a writer. He authored a number of books, all on cricket. His first book, The Way of Cricket, was released in 1961, followed by two more books in 1962 and 1963. He continued writing several other books till 2010. Of these, in 1998, he also wrote his autobiography named Anything But, which received positive reviews from Harold de Andrado, the Sri Lankan cricket writer, and complimented his skill and talent as a cricketer, as well as his deep understanding and passion. The cricket legend has received several accolades, including being named the Officer of the Order of the British Empire, being inducted the Sport Australia Hall of Fame, Australian Cricket Hall of Fame and ICC Cricket Hall of Fame, being awarded the Logie Award for the Most Outstanding Sports Broadcaster, etc. At the age of 84, Benaud was diagnosed with skin cancer. 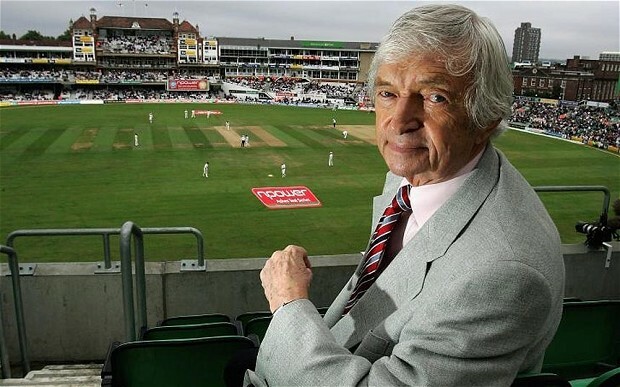 On 10 April, 2015, Richie Benaud died in his sleep, and left the entire world of cricket mourning the loss of a cricket institution. In cricket, batsmen can make a huge difference to a game. 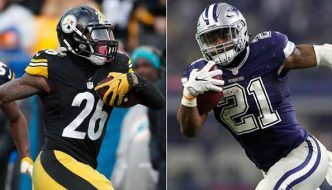 As they score huge runs, they ensure that the opponents have a big number to chase. Batsmen, by maintaining calm and steadiness, are the ones who can lead their teams to a victory by chasing the runs put up by the opponents in the first innings. However, it is not one batsman who can make such a huge contribution to the sport. There is a reason why two batsmen are together on the crease: so that they can assist each other in scoring well. While one player can smash a six or a boundary, a stable partnership between two batsmen can lead to a good run big enough to hassle the opponents. ICC World Cup being the biggest cricket tournament, some of the greatest matches in the tournament have seen some excellent partnerships. Let u take a look at the 10 Highest Partnerships in ICC World Cup. Two of the very best batsmen of Sri Lankan team, Upul Tharanga and Tillakaratne Dilshan, made a 231 runs not-out opening partnership, which is regarded as one of the 10 Highest Partnerships in ICC World Cup, in the 4th quarter final of the 2011 ICC Cricket World Cup which was played between Sri Lanka and England at R Premadasa Stadium, Colombo, on 26th March 2011. England won the toss and chose to bat first and made a total of 229 runs with 6 wickets in 50 overs. Sri Lanka, in the second innings while chasing the target, achieved the needed 231 runs to win the match in 39.3 overs without any wicket loss. Upul Tharanga scored 102 runs in 122 balls with 12 boundaries and an over-boundary, and Tillakaratne Dilshan scored 108 runs in 115 balls with 10 boundaries and two sixers. Sri Lanka won the 2011 ICC World Cup quarter final by 10 wickets and Tillakaratne Dilshan was declared player of the match for his amazing batting innings. Two of the pioneer batsmen of Australian team, Ricky Ponting and Damien Martyn, made a 234 runs not-out partnership on the 3rd wicket , which is regarded as one of the 10 Highest Partnerships in ICC World Cup, in the final match of the 2003 ICC Cricket World Cup which was played between Australia and India at New Wanderers Stadium, Johannesburg, on 23rd March 2003. India won the toss and chose to field first and Australia made a total of 359 runs with 2 wickets in 50 overs. Ricky Ponting scored an amazing 140 runs in 121 balls with 4 boundaries and 8 over-boundaries, and Damien Martyn scored 88 runs in 84 balls with 7 boundaries and a sixer. India, in the second innings while chasing the target, lost all their 10 wickets under 234 runs in 39.2 overs. Australian won the 2003 ICC World Cup Final by 125 runs and former Australian captain Ricky Ponting was declared player of the match for his spectacular batting innings. 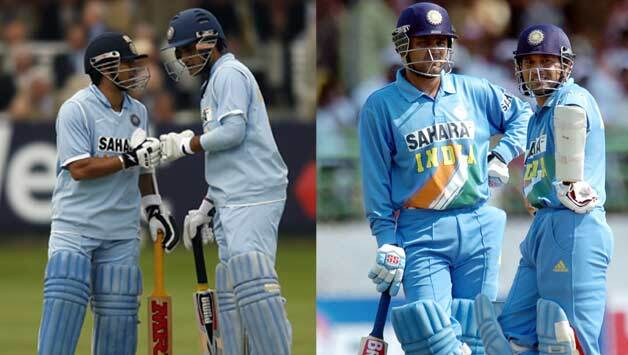 Two of the leading batsmen of Indian team, Sachin Tendulkar and Rahul Dravid, made a 237 runs not-out partnership on the 3rd wicket, which is regarded as one of the 10 Highest Partnerships in ICC World Cup, in the 15th match of Group A in 1999 ICC Cricket World Cup which was played between India and Kenya at County Ground, Bristol, on 23rd May 1999. Kenya won the toss and chose to field first and India made a total of 329 runs with 2 wickets in 50 overs. Master Blaster Sachin Tendulkar scored 140 runs in 101 balls with 16 boundaries and 3 over-boundaries, and Rahul Dravid scored 104 runs in 109 balls with 10 boundaries. Kenya, in the second innings while chasing the target, was able to make just 235 runs in 50 overs while sacrificing 7 wickets. India won the world cup match by 94 runs and Little Master Sachin Tendulkar was declared player of the match for his breathtaking batting performance. 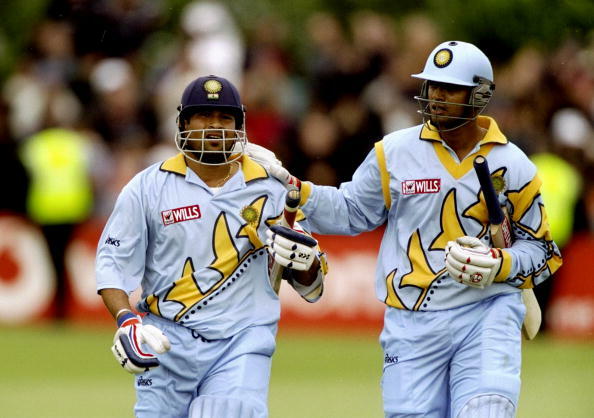 Two of the Indian godfather of batting, Sachin Tendulkar and Sourav Ganguly, made a 244 runs partnership on the 2nd wicket, which is regarded as one of the 10 Highest Partnerships in ICC World Cup, in the 25th match of Pool A in 2003 ICC Cricket World Cup which was played between India and Namibia at City Oval ground, Pietermaritzburg, on 23rd February 2003. Namibia won the toss and opted to field first and India made a total of 311 runs with 2 wickets in 50 overs. Sourav Ganguly scored 112 runs in 119 balls with 6 boundaries and 4 over-boundaries, and Little Master Sachin Tendulkar scored 152 runs in 151 balls with 18 boundaries. Namibia, in the second innings while chasing the target, lost all their 10 wickets in just 130 runs in 42.3 overs. 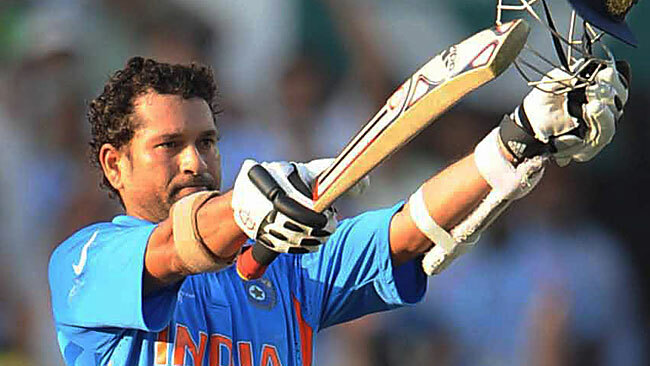 India won the world cup match by 181 runs and Master Blaster Sachin Tendulkar was declared player of the match for his one-of-a-kind batting performance. Two of the best South African Batsmen Hashim Amla and Faf du Plessis made a 247 runs partnership on the 2nd wicket, which is regarded as one of the 10 Highest Partnerships in ICC World Cup, in the 24th match of Pool B in 2015 ICC Cricket World Cup which was played between Ireland and South Africa at Manuka Oval Ground, Canberra, on 3rd March 2015. South Africa won the toss and opted to bat first and made a total of 411 runs with 4 wickets in 50 overs. Hashim Amla scored 159 runs in 128 balls with 16 boundaries and 4 over-boundaries, and Faf du Plessis scored 109 runs in 109 balls with 10 boundaries and an over-boundary. Ireland, in the second innings while chasing the target, lost all their 10 wickets in 210 runs in 45 overs. South Africa won the world cup match by 201 runs and Hashim Amla was declared player of the match for his strong batting innings. 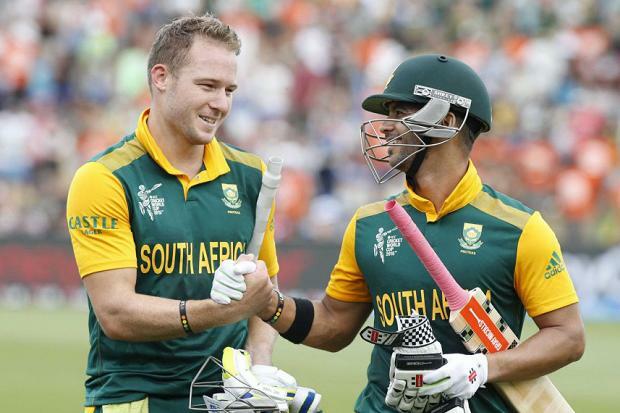 Two of the leading batsmen of South Africa, David Miller and Jean-Paul Duminy, made a 256 runs not-out partnership on the 5th wicket, which is regarded as one of the 10 Highest Partnerships in ICC World Cup, in the 3rd match of Pool B in 2015 ICC Cricket World Cup which was played between South Africa and Zimbabwe at Hamilton cricket ground on 15th February 2015. Zimbabwe won the toss and opted to field first and South Africa made a total of 339 runs with 4 wickets in 50 overs. David Miller scored 138 runs in 92 balls with 7 boundaries and 9 over-boundaries, and Jean-Paul Duminy scored 115 runs in exact 100 balls with 9 boundaries and 3 sixers. Zimbabwe, in the second innings while chasing the target, lost all their 10 wickets in 277 runs in 48.2 overs. South Africa won the world cup match by 62 runs and David Miller was declared player of the match for his wonderful batting performance. Two of the very best Australian batsmen David Warner and Steven Smith made a 260 runs partnership on the 2nd wicket, which is regarded as one of the 10 Highest Partnerships in ICC World Cup, in the 26th match of Pool A in 2015 ICC Cricket World Cup which was played between Australia and Afghanistan at Western Australian Cricket Association ground, Perth, on 4th March 2015. Afghanistan won the toss and opted to field first and Australia made a total of 417 runs with 6 wickets in 50 overs. David Warner scored 178 runs in 133 balls with 19 boundaries and 5 over-boundaries, and Steven Smith scored 95 runs in 98 balls with 8 boundaries and a sixer. Afghanistan, in the second innings while chasing the target, lost all their 10 wickets in just 142 runs in 37.3 overs. Australia won the world cup match by 275 runs and David Warner was declared player of the match for his marvelous batting performance. Two of the Sri Lankan batting genius Upul Tharanga and Tillakaratne Dilshan made a 282 runs partnership on the 1st wicket, which is regarded as one of the 10 Highest Partnerships in ICC World Cup, in the 26th match of Group A in 2011 ICC Cricket World Cup which was played between Sri Lanka and Zimbabwe at Pallekele International Cricket Stadium on 10th March 2011. Zimbabwe won the toss and opted to field first and Sri Lanka made a total of 327 runs with 6 wickets in 50 overs. Upul Tharanga scored 133 runs in 141 balls with 17 boundaries, and Tillakaratne Dilshan scored 144 runs in 131 balls with 16 boundaries and a sixer. Zimbabwe, in the second innings while chasing the target, lost all their 10 wickets in just 188 runs in 39 overs. Sri Lanka won the world cup match by 139 runs and Tillakaratne Dilshan was declared player of the match for his batting innings. 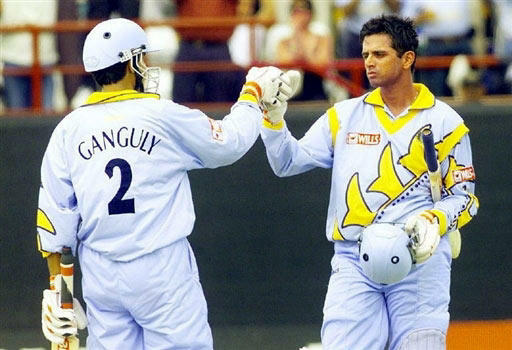 Two of the Indian batting legends Sourav Ganguly and Rahul Dravid made a 318 runs partnership on the 2nd wicket, which is regarded as one of the 10 Highest Partnerships in ICC World Cup, in the 21st match of Group A in 1999 ICC Cricket World Cup which was played between India and Sri Lanka at County Ground, Taunton, on 26th May 1999. Sri Lanka won the toss and opted to field first and India made a total of 373 runs with 6 wickets in 50 overs. Sourav Ganguly scored 183 runs in 158 balls with 17 boundaries and 7 over-boundaries, and Rahul Dravid scored 145 runs in 129 balls with 17 boundaries and a sixer. Sri Lanka, in the second innings while chasing the target, lost all their 10 wickets in 216 runs in 42.3 overs. India won the world cup match by 157 runs and former Indian captain Sourav Ganguly was declared player of the match for his spectacular batting performance. 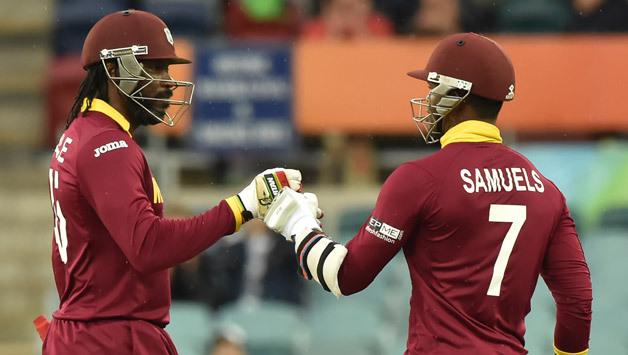 Two of the West Indian batsmen Chris Gayle and Marlon Samuels made a 372 runs partnership on the 2nd wicket in the 15th match of Pool B in 2015 ICC Cricket World Cup which was played between West Indies and Zimbabwe at Manuka Oval Ground, Canberra, on 24th February 2015, which is regarded as one of the 10 Highest Partnerships in ICC World Cup. West Indies won the toss and opted to bat first and made a total of 372 runs with 2 wickets in 50 overs. Chris Gayle scored 215 runs in 147 balls with 10 boundaries and 16 over-boundaries, and Marlon Samuels scored 133 runs in 156 balls with 11 boundaries and 3 over-boundaries. Zimbabwe, in the second innings while chasing the target, lost all their 10 wickets in 289 runs in 44.3 overs. West Indies won the world cup match by 73 runs and Chris Gayle was declared player of the match for his wonderful batting performance. These partnerships have contributed to some of the greatest matches in the history of cricket World Cups. 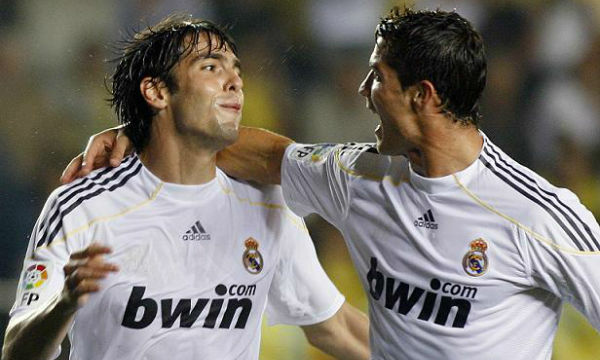 It is often seen that in such great partnerships, one player takes the responsibility of sending the ball beyond the boundary or into the gallery, while the other player takes a calmer, more stable approach, as they together combine their skill and runs, and create some memorable moments.